St. Maarten -- with loans from Carnival Cruise Lines and Royal Caribbean Cruises Ltd. -- is launching a $97.5 million expansion of its already robust cruise ship facilities near Philipsburg. 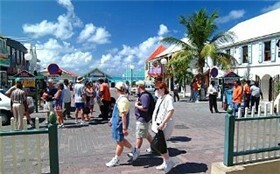 St. Maarten is a popular port call for cruise ships on eastern Caribbean itineraries. Read more about the preliminary announcement. 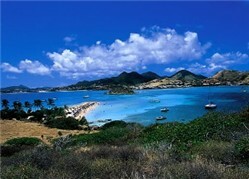 The Caribbean island of St. Maarten/St. Martin is part Dutch, part French. It's one of the most popular cruise ports in the eastern Caribbean and featured on many voyages of ships sailing from Florida. From 12-meter America's Cup yacht racing to historic forts, from beach and watersports activities to world-class shopping, St. Maarten/St. Martin is one of the most fun-filled port destinations for cruisers. For a snapshot view of the island of St. Maarten (half Dutch, half French) check out these photos from the island's tourist board. 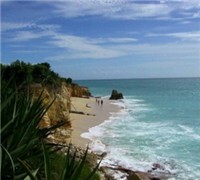 We previously ran these as Photos of the Week, but opted to retain them here for readers who might enjoy a brief look at the lovely beaches and scenery in this eastern Caribbean island.